Remarkable technological developments have taken place in fractionation and fine screening processes over the late ten years, mainly due to new narrow-slot basket technology being available for pulp cleaning. However, the quality of the raw material available has been steadily declining. 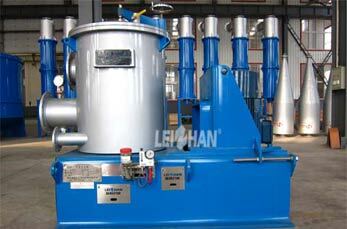 There is a need for machinery to prepare clean pulp with the highest possible yield. Leizhan fiber fractionation applies to latest innovations and focuses on technological development in the screening of brown recycled fibers. It is usually used for fine and coarse screening of various fiber pulp in waste paper processing line. .
Leizhan fiber fractionation has the following features: Advanced structure, sturdy and durable, convenient disassembly and assembly , low energy consumption, less loss of fiber. Easy to operate, less malfunctions for continuous working, less maintenance cost. Automatic oil injection device can reduce maintenance. Seal water flow automatic detection alarm device makes sure the system runs safety. Interlock system ensures the service life of equipment.